Will or Won’t Tumblr Make it as an Online Marketing Tool? Will or Won’t Tumblr Make it as an Online Marketing Tool? You Are Here:Home / SEO / Will or Won’t Tumblr Make it as an Online Marketing Tool? Will or Won’t Tumblr Make it as an Online Marketing Tool? 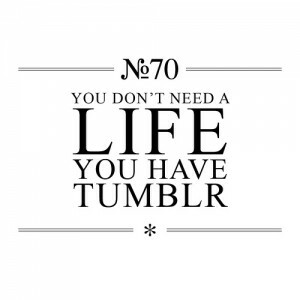 How seriously do you take Tumblr as an online marketing tool? 1) Those who believe in its marketing power. 2) Those who don’t believe in its marketing power. 3) Those who believe in its future marketing power. Towards the end of March 2013, Tumblr racked up its 100 millionth blog. It’s more or less double what it was in March 2012, and it’s seven million more than it was in February 2013. And, apparently, roughly 80 million blog posts are uploaded daily (webpronews.com). It’s no wonder that it’s starting to feature on various top ranking lists. Gosh, one gets tired of all the ‘year of …’ predictions, doesn’t one? Hayes Davis hasn’t gone as far as calling 2013 the year of Tumblr, but he has said that it’s the year in which marketers should start taking Tumblr seriously (forbes.com). According to Hayes, the platform allows brands to tell interactive and engaging stories through visual and written content. It makes brand experiences more unique and more personal, so that audiences don’t feel like they’re fed the same old marketing spiel. 1) It allows a great deal of control. If you don’t want to see content, you don’t have to, and if you do want to see it, Tumblr makes it very easy to do so. 2) It facilitates engagement, which is what all marketers should be aiming to do. 3) It’s great for content promotion, which is one of the most difficult things to do properly online – unless you are a super-duper power-user. 4) It allows a great deal of customisation, so that you can let your brand shine through. Of course, it’s not as simple as setting up a page, uploading some images, following some people, and waiting for crowds to come flocking. As with all forms of social media, it takes a degree of patience to set up a solid foundation. It also takes some basic SEO. For example: you need to tag posts with keywords that are going to be used in search, you need to use H1 headers, and you need to be clever with your URL. You also need to think about internal linking, using targeted keywords, naturally. Look, Tumblr is not going to save your business if it’s drowning in social media. It will not automatically make you the coolest kid on the blog. And it won’t send you shooting up Google’s rankings. But, it is one more tool for you to increase your brand’s presence online and to engage with your audience. In today’s increasingly fragmented social media world, you need to take every chance you can get to communicate with your target market.